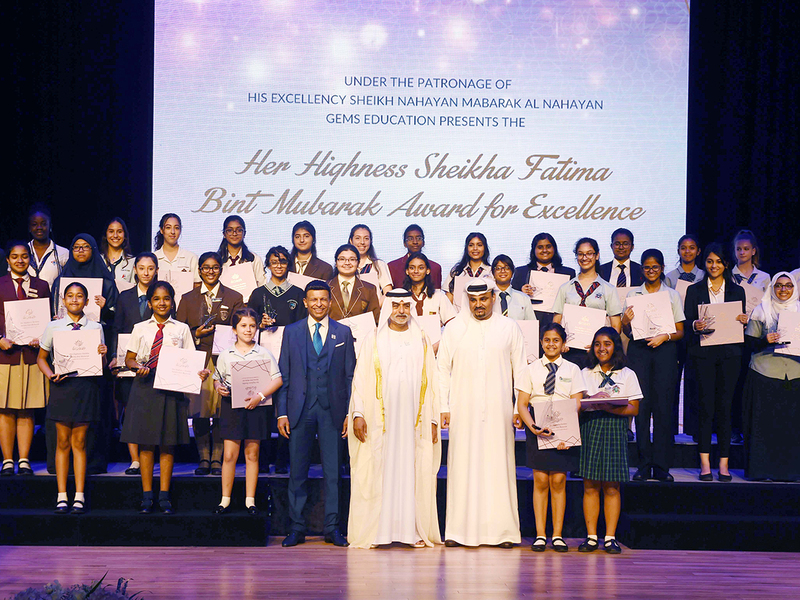 Dubai: Dozens of female students from GEMS Education schools in the UAE on Sunday won the annual ‘Shaikha Fatima Bint Mubarak Awards for Excellence’, which includes a scholarship to cover a year’s tuition fee at their respective school. 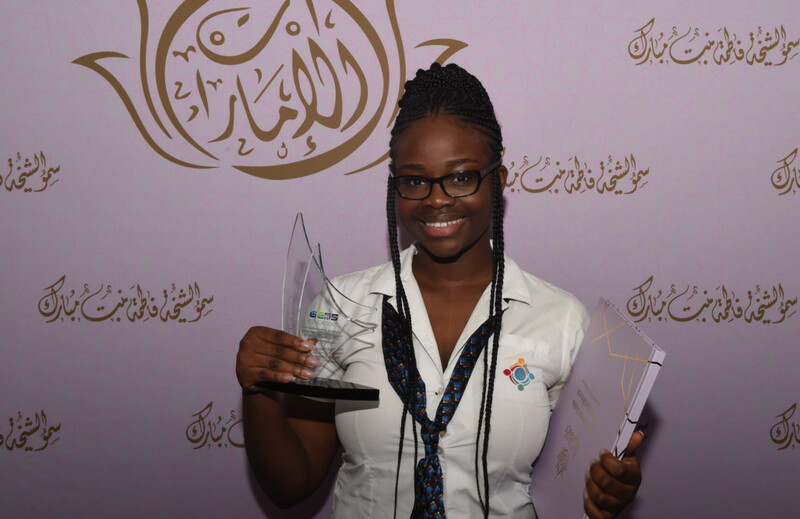 The award, launched by GEMS Education in 2005, sees female students nominated by their GEMS schools for “outstanding academic success, commitment to social responsibility and global citizenship”. 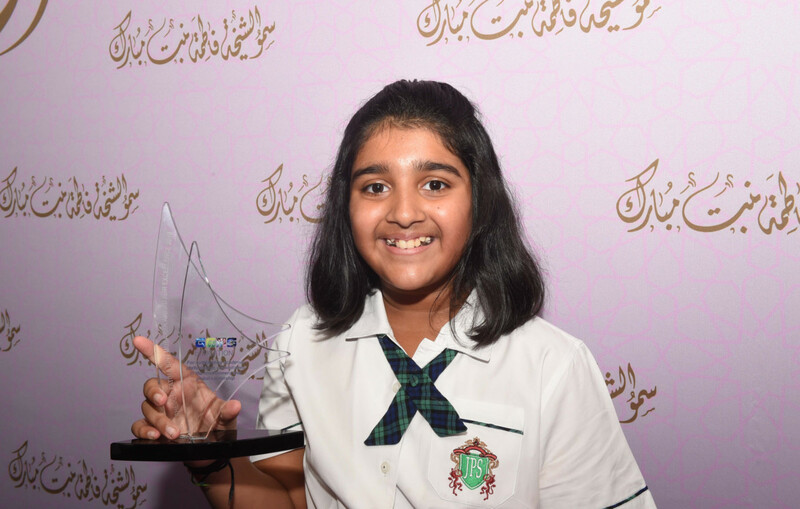 On Sunday, the awards were presented to 42 students by Shaikh Nahayan Mabarak Al Nahayan, Minister of Tolerance, at a ceremony at GEMS Dubai American Academy. Sunny Varkey, founder and chairman of GEMS Education, was also present at the ceremony. Parents and schoolmates of the winners cheered as they were called on stage to receive their award. 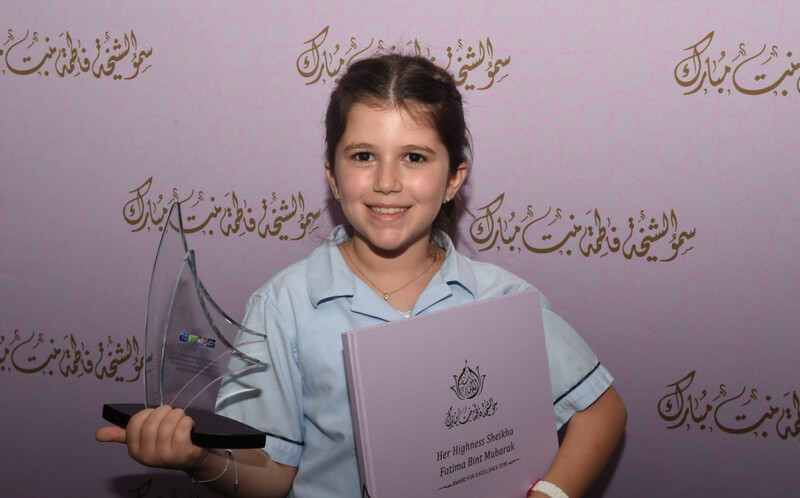 The awards are named after Shaikha Fatima Bint Mubarak, known as the Mother of the Nation. Shaikha Fatima, wife of the late founding president Shaikh Zayed Bin Sultan Al Nahyan, is known or her contributions to the empowerment of women in the UAE and her support for excellence in numerous areas. 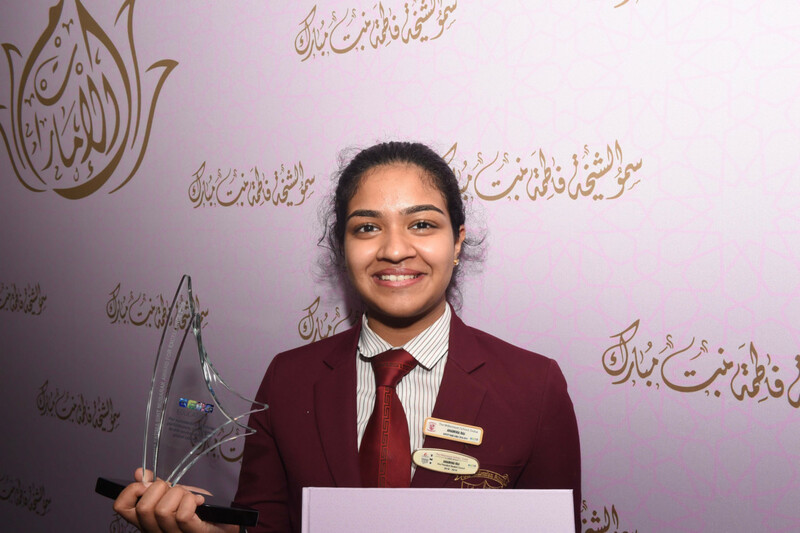 Besides studies, the winners of the ‘Shaikha Fatima Bint Mubarak Awards for Excellence’ are passionate about a variety of pursuits. Gulf News caught up with some winners to see what inspires them. I participated in almost everything in school, be it debates, elocutions. Mainly my passion is dance. I started learning dance since I was four and I’ve won a lot of competitions on behalf of my school. My message to students is ‘follow your heart’. When you’re a teen, there are a lot of times you get stuck in a lot of issues. You want to participate in activities but you may not have the confidence. My biggest advice is follow your heart and don’t care if some people think negatively. In the end, it doesn’t really matter — it’s about you. You never know what you will excel in if you don’t try it out. Academics is not all of it, you need to be a well-rounded citizen. There is a lot of push in my school about community service. I also love the opportunities where young students get to express what they have to say about global issues. I have a passion for public speaking. There was a conference in Vatican City with the Pope where GEMS took students from the UAE, including me. It was such an amazing experience because we were able to draft resolutions that contained solutions to many global issues, like environmental stability, poverty, cyberbullying. These kinds of awards inspires students. As much as working hard towards making the world a better place is satisfying in itself, being recognised for that pushes you to do more. I helped my school with the environment. I’m the leader of the Eco Warriors group in my school. We started a hydroponics system where we grow plants with only water, not soil. We’re going to start selling the plants to get more hydroponics systems and make a wall of hydroponics plants. I also help with the Spring Fair, collecting bottles and cans. We work with Emirates Environmental Group, who help us in collecting these and we take part in several competitions with them. We’re destroying the earth for the next generation. What we want to see is a green world, so why not help instead of ruining it for the future. I feel extremely happy and proud to win the award. This is the first time I’ve won such a prestigious award. I think I won because of my skills in reading and writing and language. I like to read biographies, I enjoy chapter books, and also history. I like reading about US presidents, historical events … I’m not sure if my friends read as much as I do. I’ve always wanted to be a designer because I enjoy fashion.